professional manufacturer of mobile signal jammer ,high power jammer and min signal booster! This jammer is a waterproof model. Using high quality waterproof case, ensure stability of the equipment ,even work in bad weather condition. Equipped with special high gain directional planar antenna or fiberglass omnidirectional whip antenna, the jammer can effective block CDMA/GSM/DCS /3G/ LTE/WIMAX . Use the overseas advanced chip and technology . With independent modular design, it keeps high operation efficiency, and avoid mutual interference. 100 watts per band, total RF power 1000 watts, also with power adjustable switches to control the radius range. It is suitable for prisons, detention houses, military bases, large oil fields and all other outdoor places where need the signal to block. 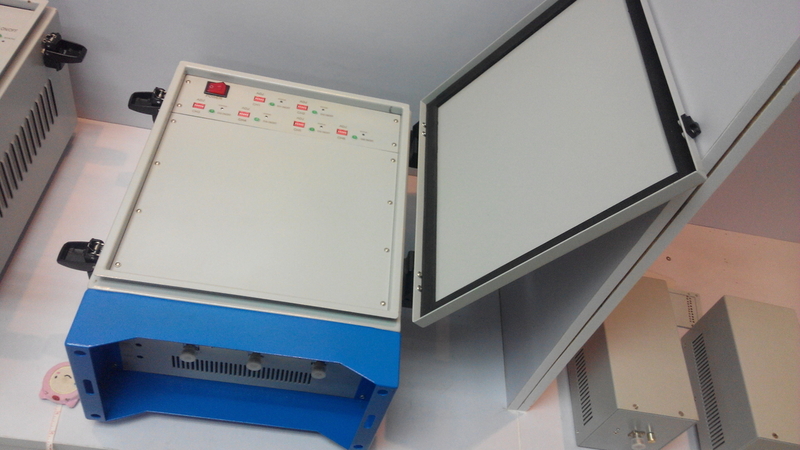 2. with good cooling system, can operate for long time. 3. Using digital interference technology, overall effective suppression of target spectrum. 5. Perfect Alarm System, fully protected circuit in case of disconnection of antennas. China Good Quality Mobile Phone Signal Jammer Supplier. Copyright © 2015 - 2019 signaljammerdevice.com. All Rights Reserved.